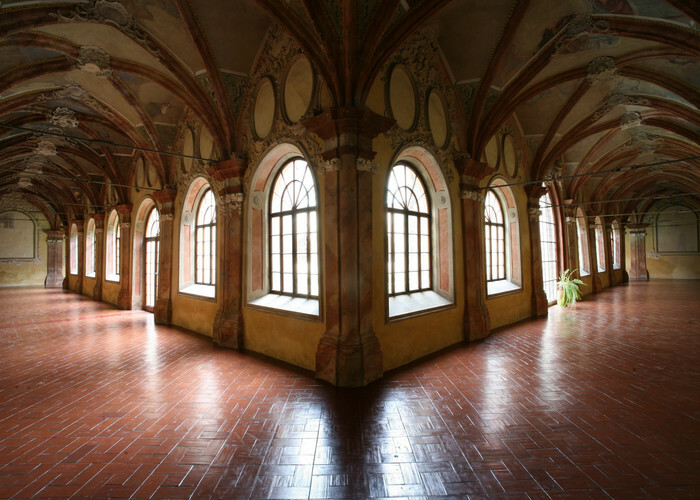 The tour route leads to the ground floor of the small convent, a unique two-storey Gothic Chapel of Guardian Angels, continues into the large convent (parlour, library, study of the monks, warming room, cloister, dining room, kitchen and the chapter hall). The tour ends with the monumental Church of the Assumption, the largest church in Southern Bohemia. The exhibition is focused not only on the activity of the Cistercian Order within the Czech lands, but also provides insight into the daily life of monks in the 18th century. The exhibition "Meeting Places in the literature of South Bohemia and Eastern Šumava" is located on the first floor of the large convent. The exhibition maps literary events in South Bohemia and on the Czech-Austrian-German border from the Middle Ages to the present. Emphasis is placed on the clear representation of the ties of regional authors to the individual sites of the region. The simultaneous coexistence of three languages (Czech, German and Latin) in the area is also observed. Ten key literary themes, located in the former monks' cells, eventually giving recognition to the links between different styles and genres in literature. Visitors will be able to look at familiar places from the perspective of literary history. 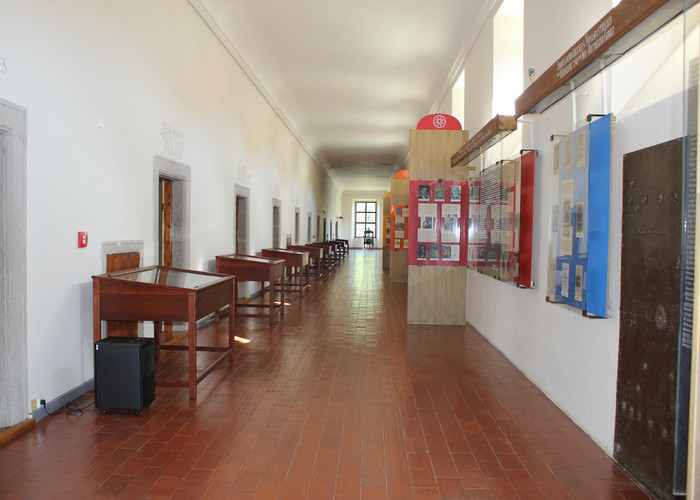 The exhibition follows not only the documentation but also the educational goals and is therefore a particularly suitable supplement to school education for students and teachers from the Czech Republic, Austria and Germany. For preparation of an exhibition tour the website www.mistasetkavani.qw.cz can be used, where all texts are published. The last extensive reconstruction of the abbey chapel took place in 2012-2013. The emergence of the abbey chapel is placed in the 1st quarter of the 14th century until the mid-14th century. It is mentioned in written sources for the first time in the year 1387. The chapel was built on an octagonal plan with pear-shaped ribs. The first construction modifications took place no later than the 1620s under the abbot Jiří Huber (1616-1623), when the dedication of the chapel to St. Jiří is mentioned in sources (Chronicle of William P. Fiedler) for the first and last time. At that time the elevation of the floor and the breaking through of a new entrance from the hall occurred, because of which part of the wall with the supports was removed. An additional modification was carried out in the 1670s, when the abbey house was expanded and the tracery windows were canceled. The third modification occurred around the mid-18th century in connection with the paintings of the hall and double doors with frame were installed in the chapel. 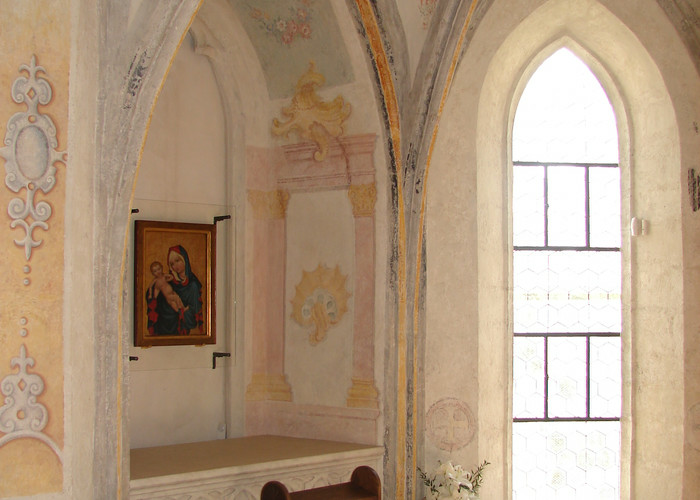 In the second quarter of the 19th century, the chapel served as a lounge and a part of the apartment of the monastery administrator. Minor building modifications also took place in the year 1942. During the most recent restoration the entrance to the so-called Billiard hall was restored. 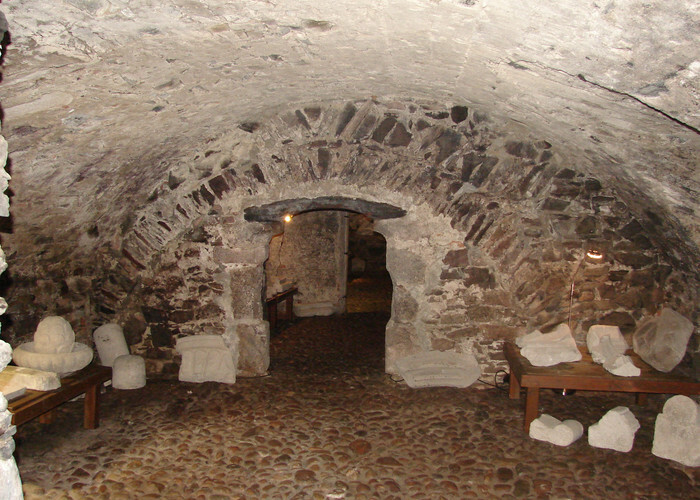 The exhibit located in the cellar of the former abbot residence features stone architectural elements from the monastery found during its reconstructions, artefacts that document not only the development of the stone craft from the 13th to 18th century, but also the technology of vault construction.